I have made a startling discovery today: The Spouse has been bandicooting! Yes, this photograph is the evidence. 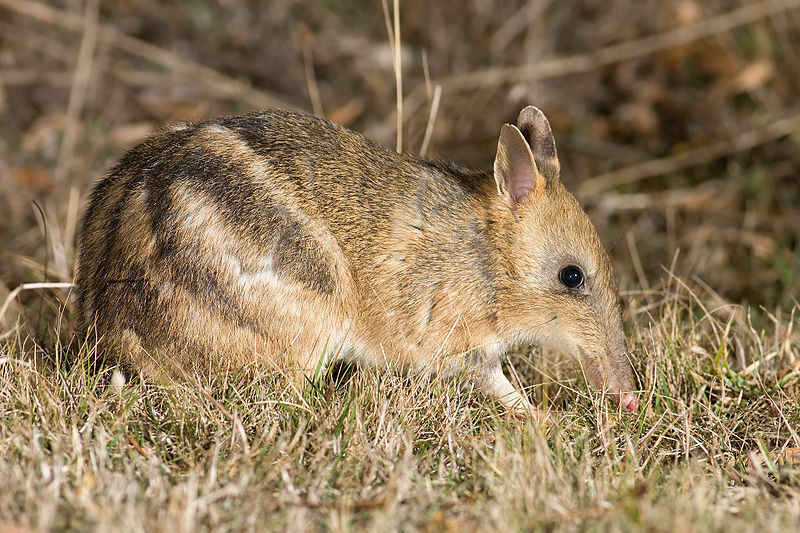 Its reputation as a pest led to some Australianisms such as miserable as a bandicoot and barmy as a bandicoot. In the 1900s when Australian writers romanticised other elements of bush life, the poor old bandicoot – as exemplified in Norman Lindsay’s The Magic Pudding – was stuck with its personification as slightly stupid and of low status with a blend of timidity and cunning. And what does all this have to do with potatoes? 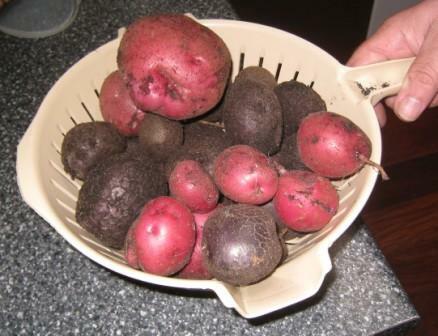 The verb, to bandicoot, derives from potato farming in Victoria in the 1890s. It captures the action of digging around the roots of the potato plant to steal the tubers without disturbing the plant. I am indebted to one of my dearest friends for this delightful augmentation of my Aussie idiom. 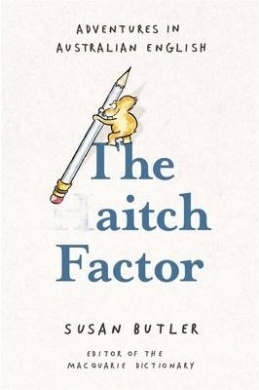 She isn’t able to attend a little gathering that I’ve organised to mark my retirement, and to compensate for her absence she has given me this delicious book, The Aitch Factor by Susan Butler. I started reading it this morning over breakfast and I am enchanted, as any lover of the English language will be. Susan Butler is the editor of the Macquarie Dictionary, and so it is her job to sift what goes into successive editions, and what comes out. As such she deals with word warriors who are outraged over the difference between authorise and authorize; grammarians who are angst-ridden about curriculums versus curricula; punctuation pedants aghast about the apostrophe – and of course the Americanisation of our language with insults like gotten. (This last is my example, not Butler’s. Don’t tell me about Middle English – I know what I was taught by Mrs Sheedy in Grade 6, and I know what’s proper and what’s not). The book is a miscellany of language issues ranging from Aitch (Protestant) versus Haitch (Catholic); the bizarre Australian pronunciation of maroon as morone (as in bone); derogatory terms (including one which I have occasionally used in blissful ignorance of its origin); the decline of the hyphen and the rise of the apostrophe and so on. It is – to use an old-fashioned expression which I think is probably not in the Macquarie – a ‘hoot’ and it was not possible to resist interrupting The Spouse over his breakfast reading so that I could share the more hilarious snippets. This sounds interesting and fun. Everyone I meet who is under 30 now says ‘haitch’. I’d never heard anyone say that until a few years ago. I find these changes to the language sometimes annoying but fascinating nonetheless. It’s always a bit odd when people suddenly start using different terms, spellings or pronunciations (have I spelt that correctly? :-) ). Yes, she says that most young people now say haitch – and there’s actually alogical reason for it. When small children learn their letter names and sounds, they learn c for c as in at and p for p as in pig, but that H says doesn’t say h as in hat, it says aitch as is the unaspirated hour, which isn’t logical. Do you know how they pronounce ‘double u’ now? I don’t mind changes when there seems to be a point to it. I grew up spelling ‘yoghurt’ like that but I dislike these silent (h)aitches in words so I use the more common ‘yogurt’. I know this causes a lot of rows though. There’s a new way to pronounce W? Oh dear me, I am out of touch! Please tell us – what was the derogatory term you used in ignorance?